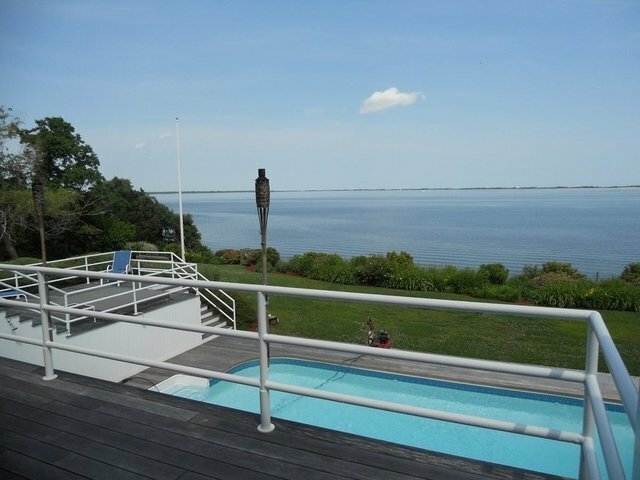 Panorama Views overlooking Shinnecock Bay in this true Contemporary Gem tucked away with in ground pool & deep water dock . Open floor plan offers four bedroom, four and a half bath with two separate indoor dining areas, spacious living room, well-equipped kitchen and beautiful ever changing sky & water views. Enjoy your Outdoor heated pool, hot tub, multi-level decking with awnings, outdoor shower, area for launching kayaks and deep water dock! Call for appointment don't miss out on this great waterfront with easy access to the beaches ,town, restaurants, east and west for all your fun in the sun!